There is almost a direct relationship between the quality of life that people have and the actions or inactions that take place in public policy, particularly for the disability community. More specifically, as in my case, public policy for those with an intellectual disability is critical to our wellbeing because this minority was, until quite recently, overlooked and under appreciated by society at large which leads to a lack of legislative support. In my struggle to realize my full potential, and the potential of many others in the intellectual disability community, I took seriously the position and status granted by my selection to serve as the first fellow with an intellectual disability in order to help better the lives of many. My yearlong fellowship consisted of two phases: first, on Capitol Hill; starting in February 2015 with the Ways and Means Committee https://waysandmeans.house.gov/subcommittee/social-security/ and second at the National Down Syndrome Society (NDSS) http://www.ndss.org/ in Washington DC beginning June 2015. Both assignments provided me with opportunities to learn, serve, and contribute in meaningful ways. My desire to be an advocate for people with intellectual disabilities was fulfilled in different ways in each assignment. This report serves to describe and reflect upon the experiences and lessons learned based on these two assignments as well as several other activities I undertook over the course of this past year, all of which proved to be rewarding, memorable and meaningful. I started on Capitol Hill in February 2015, and worked with the Ways and Means Committee chaired then by Congressman Paul Ryan; I was assigned to the Social Security Subcommittee where decisions are made on benefits and support to people with disabilities. I discovered very early during my assignment that working on influencing legislation is a very hard job. My goal was to make an impact on legislation to improve the lives of people with intellectual disabilities. I attended a hearing on Social Security and its impact on people with disabilities. Subcommittee Chairman Sam Johnson put forth a set of principles that form a commitment to addressing the Disability Insurance Trust Fund shortfall. During his opening remarks, he said “This is a commonsense commitment to all Americans.” His remarks and those of others resonated with me and have helped me understand how to articulate the legislative goals that need to be addressed for people with intellectual disabilities. I was tasked in learning as much as possible about Supplemental Security Income (SSI) and the Supplemental Security Disability Insurance (SSDI). I shared my observations with the team and I suggested that we need to make changes in that legislation. The SSI narrative is broadly focused on generic disability after the age of 18. It assumes financial income and thus the language used does not fit the younger disabled population and those with intellectual disabilities. By not targeting younger populations, we are missing a key step in the development process of people with intellectual disabilities to set them up for success. The following are some of the items that need to be addressed. a) Should there be a scale of severity of the disability as there is a scale with a range of resources that would make people qualified for different types of SSI? How do we make this determination and implement it? This could be related to the Continuing Disability Review. b) How can we ensure employment for people with intellectual disabilities? Work Incentives are critical to reduce the expense of SSI and to give individuals more dignity and self-respect (e.g. PASS and Ticket to Work). c) It would also be helpful to create tax incentives for employers to hire people with intellectual disabilities. All of my coworkers at the Social Security Subcommittee were kind, supportive, and engaged in my work. I want to highlight the critical role of my supervisor Ted McCann. He was very helpful in giving me opportunities that went beyond just reading about SSI. He included me in coalition discussions and related meetings. I understood that in all matters, a bipartisan approach is needed to get things done and make progress. He engaged me in building coalitions. He took the time in his very busy schedule to have one on one dialogue with me to ensure he captured my ideas and explained things to me. I don’t think that he ever worked with someone like me, with an intellectual disability, and in spite of that I believe that we understood and helped each other very effectively. We discovered each other’s gift and made the most of our interactions despite the tough schedule and time constraints. Serving as a fellow on a committee puts certain restrictions on direct advocacy. In fact, there are a range of people with disabilities who visit the Ways and Means Committee to voice their concerns. The toughest learning curve while working on the Social Security Subcommittee was to discover that I could not be an active voice for people with disabilities as my new role was to listen to the requirements of the groups who visited the Hill. This change from my usual speaking role to a listening one was hard. I have visited Senators and Representatives for many years advocating with Special Olympics International (SOI) during Capitol Hill Day and with NDSS during the Buddy Walk on Washington. At those sessions, I spoke about our needs and hopefully made a positive impression to gain the support needed. Now I understand how much it matters to visit and communicate with our members of Congress and alert them about our needs on a regular basis. They are so busy with so many other constituents who visit them that we need to make sure that the message and the asks of our legislators are concise and actionable. Doing the leg work and making it hard for our legislators to say no to our asks is critical and self-advocates need to always be involved in those interactions. One of the highlights of my assignment on Capitol Hill was the casual conversations that I had on a daily basis. Having a badge and an account as a staff member gave me unique opportunities for acknowledgement as a fully integrated employee. Just by being physically present every day in the hallways of Congress, walking in and out of the buildings as a staffer was a testimonial about individuals with intellectual disabilities. Often people would ask me where I worked. These unplanned meetings were quite impactful as they offered me an opportunity to engage in the conversation about people with intellectual disabilities and assert our human and civil rights. I was a reminder to those around me that people with intellectual disabilities do not have to hide and we are citizens that matter. I think those encounters raised the level of awareness of people with intellectual disabilities and affirmed that we have a role to play. We matter to both Republicans and Democrats. Our cause is truly bipartisan. At NDSS, I served in the National Advocacy and Public Policy Center in Washington, DC. 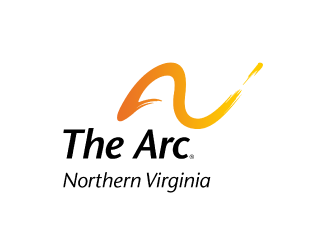 , focusing on key issues as they relate to health, research, education, outreach, government affairs, and employment. I was included in staff meetings and I was able to communicate with all of the departments, those on site in DC, others in New York and staff working remotely. I experienced the unique challenges that non-profit organizations face with a small staff working multiple competing tasks while supporting a large membership at the same time. In fact, NDSS is the largest nonprofit in the United States dedicated to advocating for people with Down syndrome and their families. My time at NDSS was a great opportunity to delve into programs unique to Down syndrome and see first-hand how they relate to other disability groups. I was involved in various tasks especially with the staff that works closely with the Congressional Task Force on Down syndrome. The Task Force was established in May 2015, and is an expansion of the Congressional Down Syndrome Caucus originally formed in 2008. It is made up of US Representative and US Senators who seek to educate other members of Congress and their staff about Down syndrome issues. The Caucus was instrumental in passing the Achieving a Better Life Experience (ABLE) Act, and the hope is that the Task Force will continue and promote new legislative activities and public policies that enhance the quality of life for those with Down syndrome. I enjoyed many visits to Capitol Hill, recruiting new members to the Task Force. I attended various events with NDSS staff and saw first-hand the work that occurs behind the scenes to raise awareness and gain commitments to support the needs of those with Down syndrome and their families. I hope that my contributions will strengthen our cause and have a positive impact on the lives of people across our nation (those with and those without disabilities). I would like to see inclusion, dignity, respect and equal rights as the norm and not the exception; in fact it’s what I said in a meeting where I spoke about competitive employment on behalf of NDSS with the Department of Labor. I want to thank all of the NDSS staff; they were supportive and happy to have a person with Down syndrome working closely with them. I want to especially thank President Sara Hart Weir, her assistant Kandi Pickard, Vanessa Quick, and Ginny Sessions Siller; they all worked more closely with me and took the time to engage me in meaningful projects. In addition to the staff, I also had great mentors who supported me in my specific activities; these were young interns with interest and/or experience in the Disability Community. Camille Franco, Jay O Bhargava, and Emily Ford were all instrumental in making my fellowship a success. I am grateful for the candid interactions we had visiting Congressional members, working on public awareness and outreach, and representing NDSS by attending health conferences and disability meetings. The Fellowship also offered me opportunities to continue and expand my advocacy activities with Special Olympics and other disability organizations who requested that I participate in specific events. At most events, I also delivered keynote speeches. I will just briefly mention those events and will elaborate a little more on the Special Olympics World Games since I am a Sargent Shriver International Global Messenger (IGM). a) Special Olympics World Summer Games 2015: The World Games in Los Angeles were a thrilling experience. I had key speaking roles during the Opening and Closing Ceremonies in the LA Coliseum with thousands of athletes, volunteers, staff and fans from all over the world. I also gave the thank you speech to families from over 165 countries on Family Day with the Shriver family, Vanessa Williams and the Mayor of Los Angeles, CA. I also had opportunities for interviews with the media and interactions with people from all over the world. The Special Olympics World Games are a milestone in our movement. They showcase us to the world as capable people. The vision of Eunice Kennedy Shriver, founder of Special Olympics, is to use sports as the playing field to bring people together and see what makes us more alike than different. So as an IGM, I continue this vision of Eunice and Sargent Shriver. I will continue to work hard to make our movement stronger and have an impact on the lives of people across our nation and all over the world. Special Olympics is more than winning and getting medals and awards. Special Olympics is a movement that fosters inclusion and respect. It is what Tim Shriver calls “The Dignity Revolution” to change the way the world perceives people with intellectual disabilities and for all of us to discover what matters most. b) Other Special Olympics events: In preparation for the World Games, I participated in the IGM training, spoke at the Bank of America Leadership Conference (Bank of America was the sponsor of the IGM training); and interviewed with ESPN and VOA. I was also the keynote speaker for two Special Olympics Virginia (SOVA) events: the Knights of Columbus Polar Plunge, and at the Torch Run. In addition I briefed the SOVA Board Members on my World Games IGM experience and my JP Kennedy Jr. Fellowship. I also participated twice in SOI Capitol Hill Day (CHD) in 2015 and in 2016. I was a team member working on the strategic planning for CHD with the Global Development and Government Relations team. c) Speaking events at schools in Fairfax County, VA: I spoke at Oakton High School with Best Buddies/Special Olympics Swim team; and at Flint Hill School (FHS). 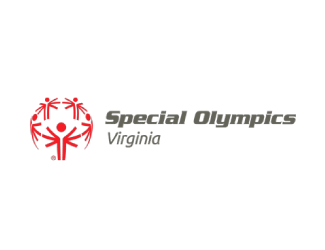 As a result of those events, a FHS student is doing an internship with Special Olympics Northern Virginia and many of the students are volunteering at athletic events and signing on the R-Word Pledge Campaign. d) Down Syndrome Associations events: I was the keynote speaker at the World Down Syndrome Day (WDSD) 3/21/2015 in Lexington, KY. I participated in a workshop for families and celebrated WDSD with media interviews and local events. In January 2016, I was the keynote speaker for the Down Syndrome Association of Greater Richmond at their conference entitled, “From PossAbilities to Practical Applications” in which 350 teachers, educators, other professionals and families participated. First and foremost, I am honored and grateful to the Joseph P. Kennedy Jr. Foundation and all of those who recommended me (Representative Cathy McMorris Rodgers, Dr. Karen Summar, Dr. Ralph Shrader, Dr. Tim Shriver, and Ms. Sara Hart Weir) and CBRE management for giving me a one year leave without pay that afforded me the opportunity to serve at the Ways and Means Committee and at NDSS. Because of this role, I was able to experience, and better understand, both sides of public policy from formulation to practice on the organizational front lines. My goal for the future is to continue to advocate for people with intellectual disabilities utilizing the knowledge and skills acquired from my fellowship. I learned a lot about public policy, legislation and non-profit organizations. My goal for the upcoming years is to continue and expand my advocacy. I am currently back at my previous position as a clerk with CBRE at the Booz Allen Hamilton Distribution Center in McLean, VA. I am hoping that I can get CBRE, an international company, and others, to engage with me in disability awareness in the US and across the world. I would like to help in bringing the next generation of self-advocates and legislative staffers to work together. We need both the legislature and the non-profit organizations to promote the social needs and benefits accrued from including people with intellectual disabilities at all levels in the society. I am going to continue working with the Down Syndrome Congressional Task Force recruiting more supporters and members. I also want to share my experience with a variety of audiences and inspire others. I will continue to seek opportunities to make a difference not only in our local communities but also worldwide. I want to ensure that no person with a disability is forgotten. We in the US are privileged to follow in the spirit of the Kennedy family, particularly Eunice Kennedy Shriver. I will strive to keep the spirit going wherever and whenever opportunities present themselves to influence decision makers to include and support people with disabilities in their decision making. My dream is to make a difference across the globe. “Once a fellow, always a fellow”, and perhaps even an international fellow.